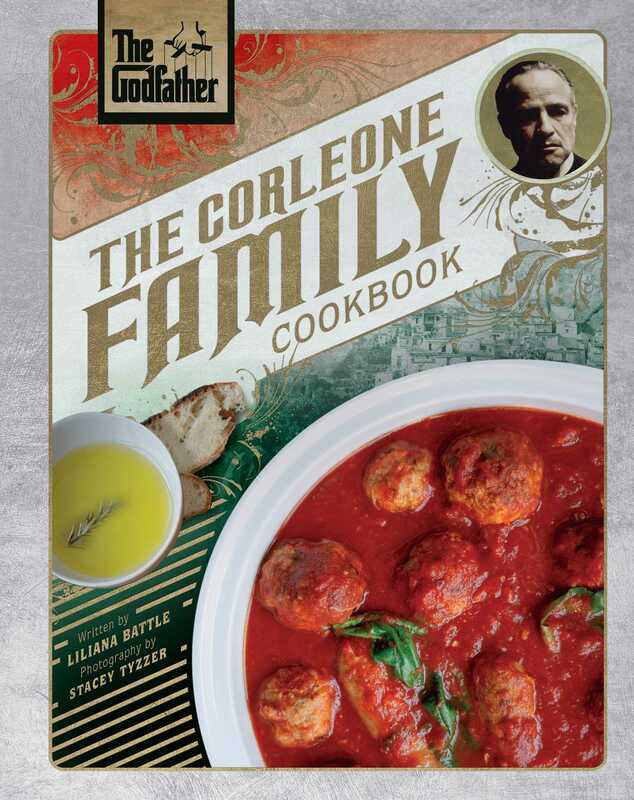 Become part of the family and make recipes no one can refuse with the official Godfather cookbook! The Godfather trilogy is widely recognized as one of the greatest movie series of all time. Now, you'll finally be able to make your very own authentic Italian meals with recipes inspired by the Corleone family, including delicious pastas, sauces, meatballs, breads, and desserts. Immerse yourself in the classic story of the Italian immigrant family determined to keep their long-held traditions intact in the new world. Featuring 75 recipes complete with gorgeous photography for infamous dishes such as "the best in the city" veal Marsala, Clemenza's Sunday sauce, and of course, "Leave the gun" cannoli. Celebrating the strong themes of loyalty, family, and tradition, The Godfather: The Corleone Family Cookbook sheds new light on the legendary trilogy. Including images and quotes from the films, this cookbook is an absolute must-have for all fans of The Godfather - especially those with a taste for the finer foods in life.